Shobhapur village is still facing the aftermath of the violence of 2 April when a nationwide Bharat bandh was called by Dalit organisations to protest the Supreme Court verdict on the SC/ST Act. Several youths and men have been arrested in connection with the violence while many have left the village and are in the process of migration. Shobhapur is a Dalit-dominated village of Kankherkhera area of the city. Two persons had died, one from Meerut and another from Muzaffarnagar. Protesters had torched Shobhapur police check post, a few buses and some vehicles on NH 58 during the protest and also pelted stones. Police had to fire in the air to control the violent mob. It was not only Shobhapur but other districts of western UP too were affected by violence on that day. Agra, Meerut, Muzaffarnagar, Hapur and Bulandshahr districts had experienced violence during the Dalit protest. However, in Meerut Shobhapur was the worst affected. Several Dalits were arrested from here, some reportedly from their houses. Two days later a group of Gurjar youths shot dead a BSP worker Gopi Paria when he confronted Gurjars for handing over his name to police for leading the protest and allegedly being involved in unleashing violence. Since then police and Rapid Action Force are camping in the village and life still seems far from normal there. A bustling village now wears a forlorn look. Villagers claim that most of the Dalits, especially youths, have deserted their homes and are staying with their relatives or friends They do not want to return to their native place as they are afraid of being implicated. The village seems to be gripped by a fear psychosis and nobody is ready to interact with the media even on condition of anonymity. “Almost every male dalit has left the village,” said Pappu, a Dalit, who could not leave the village in view of his ill health. Pappu and his wife are staying there but have sent away their teenaged son Rajeev. Rajeev is studying in High school but is not going to school at present. “I sent him to a relative’s place,” said Pappu, adding that others in the village also have done the same. Most dalit families are not sending their children to school. 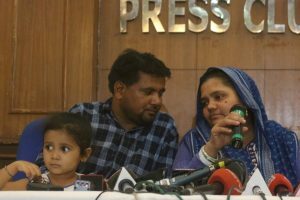 “Dalits here are gripped by fear after the violence as many innocent people have been implicated falsely,” said Pappu adding that many who were not in town on the day of the violence have also been booked by the police. “Those who indulged in the violence were reportedly outsiders,” he said. Sushil Gautam, a Dalit leader and president of Democratic Students Front, said he also visited Shobhapur three days after the violence and was shocked to discover that the majority of Dalits have moved out of the village. “The Dalits here are scared and the fear has built up more after the murder of Gopi,” said Gautam. He also claimed that dalits of the village have been implicated by the police. Prashant Kumar, ADG of Meerut Zone, however, said that if there are instances when someone away on duty has been named in the cases than they should come to us with evidence. The innocent will not face any charges, he averred. The ADG also denied migration of Dalits from the village and said that the claims are false. “Some have surely left the village but these are the ones who are believed to be involved in violence,” he said. From Meerut alone, over 200 people were arrested in connection with the violence and 71 cases were registered. From the zone itself 222 cases have been registered and 517 people arrested, said the ADG, adding that 92 police personnel had sustained injuries in the violence. “To ensure that nobody innocent is implicated on false charges Special Investigation Teams (SIT) have been formed in different districts which are examining the cases on a priority basis,” said Kumar. “It’s true that people have given the names to settle their personal scores but SITs would examine individual cases and action would be initiated only against those who were involved in the violence,” he asserted. 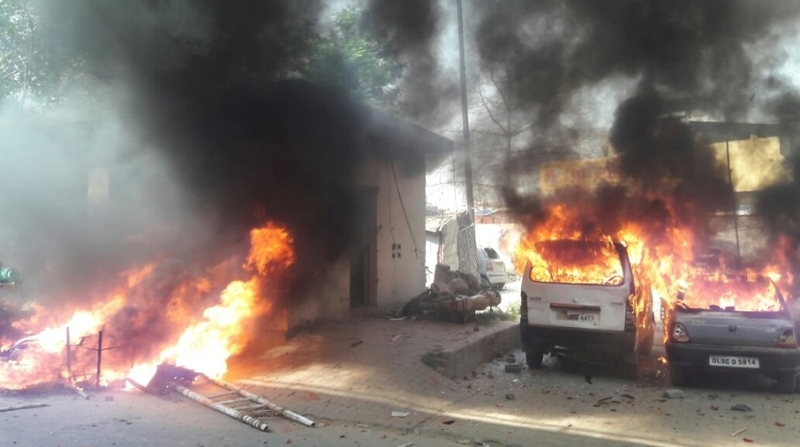 Meanwhile, the heat of this violence and its implications have reached Bheem Army chief Chandrasekhar alias Raavan, who is lodged in Saharanpur Jail. Chandrasekhar has started a hunger strike in the jail to demand the withdrawal of cases against Dalits who are falsely implicated. District president of the Bheem Army in Saharanpur Kamal Singh Walia said many Dalit supporters of the organisation from 22 villages have also started a hunger strike and the condition of some in Behat area is deteriorating. “We will fight it out for the people who have been implicated falsely whatever are the consequences,” he said. BSP supremo Mayawati, too, has expressed her solidarity with the Dalits, especially the innocent who have been booked in false cases. Shortly after the violence, Mayawati too had stated that it is the handiwork of some anti-social elements.